Sports Show Team has Compiled This List while considering 15 different criteria in order to rank the most popular sports in the world. Today we are going to take a look at the top 10 most popular sports in the world. But before we do that it is important to know the importance of sports and the criteria that should be used to make a ranking of sports. Sports play an important role in our lives. From the early childhood years where we take sports very seriously to the later years in life where we consider it as a hobby, a fitness ritual, and sometimes even a profession. Today in every part of the world some sport is passionately followed. People take their sporting heroes as their role models and often have an emotional attachment with their favorite sports stars and sports teams. People in different regions of the world have different favorite sports. This makes ranking sports quite a challenging and difficult job. This is exactly why it is hard to ascertain the reliability and accuracy of different sports lists out there. Here, it is important to know exactly what do we mean by most popular sports. The word “popular” could mean “most watched sports,” “most played sports,” or “most revenue-generating sports”. But in all honesty, it would be unfair to rank the sports by popularity, if we take just one or two criteria. Therefore, we have decided to use 15 different criteria in order to rank the most popular sports in the world. We have used these extensive criteria in order to make sure that we can accurately ascertain the popularity of different sports and rank them in the correct order. Hopefully, this list compiled after thorough research would be helpful for you. Do let us know what you think about this list and the popularity of different sports in the world in the comments section below. Below are the Detailed Statistics and Facts About Popular and Most Popular Sports in The World. At the top of the list of Most Popular Sports is soccer with 3.3-3.5 billion fans all over the world. Association football, commonly known as football or soccer, is a sport played between two teams of eleven players with a spherical ball. It is played by 250 million players in over 200 countries, making it the world’s most popular sport. The game is played on a rectangular field with a goal at each end. The objective of the game is to score by using any part of the body besides the arms and hands to get the football into the opposing goal. The goalkeepers are the only players allowed to touch the ball with their hands or arms while it is in play and then only in their penalty area. Here is how Soccer ranks on different criteria that we have set to rank the sports. Global Fan Base and Audience: Soccer enjoys the most number of fans in almost all regions of the world. The number of people who follow the sport regularly and watch its global as well as regional competitions is unmatched. Viewership on TV: When it comes to TV viewership, soccer is definitely the king. In order to give you some idea of the popularity of the sport, whenever there is a regional or global international competition, billions of football fans around the world are hooked to their TV screens. Same is the case with club competitions and major leagues around the world. TV Rights Deals: Being the most watched sports in the world, soccer lands the most lucrative TV Rights Deals for FIFA, the global body of the sport. To give you some idea, FIFA has already secured more than $1.85 Billion for the World Cup 2018 and World Cup 2022 TV rights. Popularity on the Internet: The popularity of soccer on the Internet is quite evident. Every major search engines see hundreds of millions of searches related to the sport, different teams, and different athletes of the sport. Presence on Social Media: Today, different social media outlets are full of content related to soccer. With millions of fans around the world, it takes only a few minutes for major soccer happening to become a top trend in the world of social media. 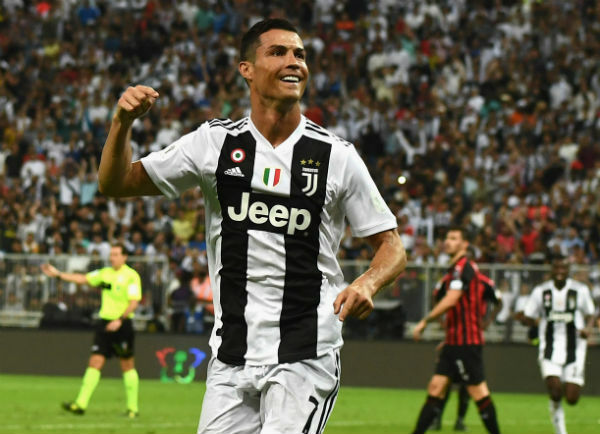 Whether it is Facebook, Twitter, or Instagram, Soccer stars like Cristiano Ronaldo, Lionel Messi, and Neymar seem to be ruling them with the most number of followers, likes, and shares. The number of Professional Leagues in the World: Football has by far the most number of professional leagues in the world. Every country in every continent has a national football body and under that body, there is a professional league being played. Average Salary of Athletes in the Top Leagues: Want to become rich? Become an international football star. Yes, football players enjoy the highest salaries among the athletes. The average salary of athletes in the top European leagues is in millions of dollars. The salaries are pretty lucrative in other leagues around the world as well. Sponsorship Deals: Whether it is sponsorship for national teams, club teams, or individual players, the numbers can go up pretty high. We are talking about millions of dollars even for the individual players. Brands around the world battle it out to land their name on the shirts of major football clubs around the world. Football stars also get their fair share of sponsorships from major sporting brands like Nike, Adidas, and Puma, as well as from other brands that are not related to sports. Number of Countries in Which the Sport is Popular: Soccer is one sport that is popular in almost all the countries of the world. Biggest Competition: The biggest competition of Football is the World Cup that is held after every four years. According to reports, more than 3.2 billion people watched the FIFA World Cup 2018. It is by far the most watch sporting event in the world. Relevancy Throughout the Year: No matter what part of the year it is, you will always find some news related to football in the sports headlines. The major leagues around the world have their season’s from August till May. And in the remaining months, there are often international competitions and international friendlies among countries. Gender Equality: Majority of the nations around the world have their men as well as women football teams. Although it has to be said that men’s soccer is more widely followed, women’s soccer is still growing and more and more women around the world are getting attracted to soccer. The female viewership of the sport is also on the rise. Access to the General Public: Perhaps the most accessible sport in the world, soccer only requires a ball and two goal posts to play. So it doesn’t matter if you are rich or poor, you can afford to play this exciting sport. This is the reason why soccer is popular in some of the richest countries of the world, like the US, the UK, Germany, Japan, France, Denmark, etc. as well as in some of the poorest countries in the world like Somalia, Ethiopia, Congo, and Liberia. The number of Amateur Players in The World: There is no denying of soccer being the number one sport in the world when it comes to the number of professional players. But what about the amateur players? Well, soccer is the number 1 sport in the number of amateur players around the world as well. There are thousands of amateur soccer players in every major city all over the world and let’s be honest we all have played soccer at some stage in our lives. The prominence of the sport in sports headlines on print and electronic media: How much importance does soccer get in sports headlines? Well, probably it is among the top three most prominent sports around the world. To give you an example, Football World Cup and other major football competitions like the European Cup and the UEFA Champions League are among the top sports headlines even in the countries that have poor international soccer record, for example, India, Pakistan, Bangladesh, China, Indonesia, and Canada. Cricket is 2nd Most Popular Sport in the World with 2-3 billion fans (Across India, UK, Pakistan, Asia, Australia, etc. Cricket is a bat-and-ball game played between two teams of 11 players on a field at the center of which is a rectangular 22-yard long pitch. The two competing teams take turns to bat, attempting to score runs. While one team is batting, the other team fields. Each turn is known as an innings. Cricket has three different formats i.e. Test, ODIs, and T20. After the introduction of the T20 format, the popularity of cricket has been increasing drastically. Cricket is very popular in India, Pakistan, Australia, England, South Africa, Sri Lanka, New Zealand, West Indies, Bangladesh, and Zimbabwe. Global Fan Base and Audience: The fan base of Cricket is limited to some countries. It is not a major sport in the US, most of Europe and Africa. However, some of the biggest countries in the world play this sport. Overall, with about 2 to 3 billion fans, cricket has the 2nd highest number of fans in the world. Viewership on TV: Cricket is the most watched sport in India, Bangladesh, Pakistan, Sri Lanka, West Indies, South Africa, and Australia. It is one of the most watched sports in the UK. About 2.2 Billion people from around the world watched the Cricket World Cup 2015 on their televisions. TV Rights Deals: ICC which is the global body for world cricket grosses hundreds of millions of dollars for the TV rights deals of its major tournaments like the ICC T20 World Cup, ICC Cricket World Cup (50 Overs), and ICC Champions Trophy. The TV rights for the bilateral series among different countries are also worth hundreds of millions of dollars in many cases. Popularity on the Internet: Cricket has seen increased popularity on the Internet over the years. The number of cricket related searches is increasing day by day. This is partly due to the fact that more and more people are getting access to the Internet in developing countries where cricket is famous, for example in Pakistan, Bangladesh, and India. Another reason for the growing popularity of cricket is the fact that the game itself becomes popular in other parts of the world. Presence on Social Media: The presence of Cricket on social media is confined to the countries where it is played. For example, in India, cricket related pages and social media profiles enjoy the highest number of following. The famous cricket stars from around the world are quite popular on social media as well. But this popularity is restricted to cricket playing countries only. The number of Professional Leagues in the World: This is one area where cricket lags behind some other sports in the world. With only about 15 countries having cricket as a major sport, the number of professional leagues in the world is also limited to these countries. The league system is relatively new to cricket but it is growing in popularity. IPL the Indian Premier League is one of the top leagues of any sport in the world and it was launched only a few years ago. Big Bash in Australia is another major league of cricket. More and more countries are slowly developing their cricket leagues and the number of professional leagues is likely to increase in the near future. Average Salary of Athletes in the Top Leagues: The average salary of players in the top leagues of cricket is in hundreds of thousands of dollars. Although these numbers are nowhere near that of soccer, they are pretty good for a sport that is still developing and evolving. Sponsorship Deals: Cricket stars and cricket teams enjoy some pretty handsome sponsorship deals from major brands, this is particularly the case in India, Pakistan, the UK, and Australia. Number of Countries in Which the Sport is Popular: Although cricket is popular only in about 15 to 20 countries, the population of these countries alone is close to 2 billion. The sport is gaining popularity in other countries of the world as well. Biggest Competition: The biggest competition of Cricket is the ICC Cricket World Cup that is held every 4 years. Billions of fans from around the world gear up to see this festival of sixes and fours. ICC T20 World Cup is also gaining momentum and this World Cup of the shorter format of the game is held every 2 years. Relevancy Throughout the Year: The game is relevant almost throughout the year, as different countries keep competing against each other in the bilateral series. However, the relevance of the sport skyrockets during the major competitions. Gender Equality: Like all other sports, the male version of the sport is more popular than the female version. But the ICC has taken steps to bring women cricket into the mainstream. And many countries have developed their women cricket teams. With international competitions, women’s cricket is expected to see the rise in its popularity. Access to the General Public: When it comes to access to the general public, cricket is definitely among the top sports. Requiring a bat, a ball and wickets, you can see young boys play this exciting game in the streets of India, Pakistan, Bangladesh, and South Africa. The abundance of cricket grounds in countries like New Zealand, Australia, and the UK has made it easy for the public in these countries to play and enjoy this magnificent sport. The number of Amateur Players in The World: There are hundreds of thousands of amateur players of the game in the cricket playing nations. The prominence of the sport in sports headlines on print and electronic media: The prominence of cricket in sports headlines on different media outlets varies a great deal from country to country. For example, in the cricket playing nations like India, Pakistan, Australia, and New Zealand, cricketing news is the most prominent news out there and in non-cricket playing nations like Germany and the US, it would be hard for you to find any cricket related news. With approximately 2-3 billion fans in the US, Canada, China, and the Philippines, Basketball is the 3rd most popular sport in the world. One of Most Paying Sports: Basketball is a sport played by two teams of five players on a rectangular court. The objective is to shoot a ball through a hoop 18 inches (46 cm) in diameter and 10 feet (3.0 m) high mounted to a backboard at each end. A team can score a field goal by shooting the ball through the basket during regular play. A field goal scores two points for the shooting team if a player is touching or is closer to the basket than the three-point line, and three points if the player is behind the three-point line. The team with the most points at the end of the game wins. Basketball is The 3rd Most Played and Watched Sport in the World. Global Fan Base and Audience: The number of Basketball fans ranges from 2 to 3 billion. Most of the fans are concentrated in the US, Canada, China, Japan, and the Philippines. Viewership on TV: Basketball enjoys great TV viewership in the US. NBA the national Basketball league of the US is the most popular league in the world and it is watched and followed by millions of fans in the US as well as outside the US. TV Rights Deals: The TV rights deals for the bigger leagues of the sport can reach in billions of dollars. In 2016, the NBA sold the TV rights deal for a staggering $24 billion for 9 years. This comes down to about $2.6 Billion per year. Pretty impressive, Right? Popularity on the Internet: When it comes to Internet searches, Basketball players are among the most searched athletes in the world. They are highly searched in the US, China, and other basketball playing countries, like Canada, Japan, and the Philippines. Presence on Social Media: Basketball is quite popular on the Internet. The bigger names of the game like Michael Jordan, Lebron James, and Kobe Bryant are followed by millions of people around the world. The number of Professional Leagues in the World: Many countries in the world have professional leagues for Basketball. However, the NBA is by far the most popular one. Average Salary of Athletes in the Top Leagues: Basketball stars are some of the most well-played athletes in the world. The average salary in the NBA is more than $3 million. The numbers are not as high in other major leagues of the world, but they are still pretty lucrative. Sponsorship Deals: Companies in the US are eager to sign Basketball players for their endorsement. The Basketball teams sign deals worth hundreds of millions of dollars in the NFL. Even some players can land deals worth millions of dollars from major brands like Nike and Adidas. Number of Countries in Which the Sport is Popular: Despite being very popular in the US, Basketball lags behind in popularity in other countries. It is not a major sport in the majority of the countries in the world. Still, it is widely played and followed in many countries. Biggest Competition: It is an Olympic sport and Basketball competition in the Olympics is one of the biggest competitions in the sport in the world. Other than that, the Basketball World Cup is another major competition in the world. Relevancy Throughout the Year: The sport enjoys varying levels of relevance during the year. 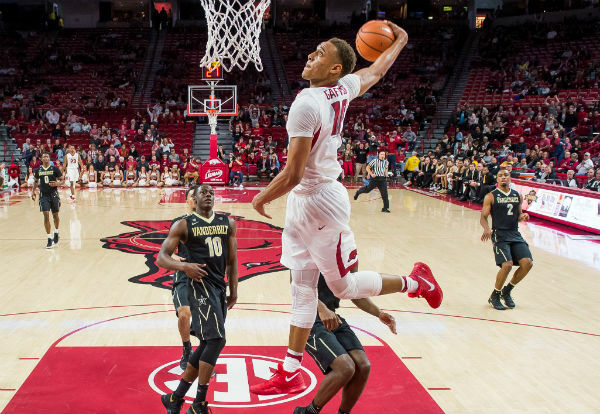 During the NFL season and seasons of other major leagues like HEBA A1 of Greece and Chinese Basketball Association’s League, the sport is quite relevant and in the news. Gender Equality: Basketball because of its nature is quite a male-dominated sport. Although female participation is there, it is quite limited. Access to the General Public: The sport is quite accessible to the general public. It can be played anywhere as all it requires is a ball and a basket. The proper courts are limited in many countries. But the freestyle variation of the sport which can be played anywhere is very popular among teenagers. The number of Amateur Players in The World: When it comes to amateur players, Basketball enjoys a good number of amateur players around the world. Understandably the numbers are high in the countries that have big basketball leagues. But the numbers in other countries are still quite impressive. Urban centers around the world, have a high number of amateur basketball players. The prominence of the sport in sports headlines on print and electronic media: The sport enjoys high levels of coverage and prominence on media in the US, China, Argentina, and Some European countries. Hockey [field + Ice] is the 3rd Most Popular Sport on Earth with 2-2.2 billion fans in Asia, Europe, Africa, Australia, etc. Hockey is a family of sports in which two teams play against each other by trying to maneuver a ball or a puck into the opponent’s goal using a hockey stick. In many areas, one sport typically field hockey or ice hockey is generally referred to as hockey. Both forms of hockey are popular in the world. Field Hockey is the National game of Pakistan as well as India. On the other hand, ICE HOCKEY is popular in Europe especially in Canada, the USA, Latvia, and Sweden. Above mentioned number of fans are for both forms of hockey. Global Fan Base and Audience: As mentioned above hockey has more than 2 billion fans in the world. These fans include both the fans of field hockey as well as ice hockey. Viewership on TV: The TV viewership of hockey is different in different regions. In Pakistan, India, Australia, the United Kingdom, Germany, Malaysia, and the Netherlands, field hockey enjoys a moderate level of TV viewership. Same is the case with Ice Hockey, only the countries are different. Ice Hockey is also widely watched in the US and Canada. TV Rights Deals: Hockey leagues around the world, including field hockey leagues and ice hockey leagues, get fairly decent TV rights deals. The numbers are nowhere close to some of the other popular sports like football and cricket, but still, they are decent enough. Popularity on the Internet: Hockey enjoys a moderate level of popularity on the Internet. The number of hockey-related searches varies by country and by season. Presence on Social Media: The presence of hockey on social media is not impressive. However, still, there is some presence. The number of Professional Leagues in the World: There are numerous professional leagues of both ice hockey as well as field hockey around the world. North America and Europe, in particular, have the most number of professional leagues of the sport. The NHL of the US is the biggest hockey league in the world. Average Salary of Athletes in the Top Leagues: NHL the national hockey league of the US has more than $3 million average annual salary. Sponsorship Deals: The sponsorship deals for the NHL teams and players are usually quite impressive. And they can be in millions of dollars. In other parts of the world, the deals are not as impressive, but still, they are reasonable. Number of Countries in Which the Sport is Popular: When we combine the two forms of hockey i.e. field hockey and ice hockey, the number of countries in which the sport is popular is quite impressive. There are more than 80 countries where the sport is moderately popular. Biggest Competition: The hockey world cup is the biggest competition in field hockey. 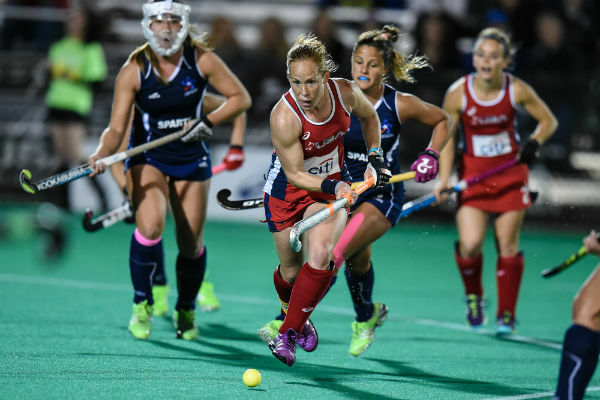 Both ice hockey and field hockey are major sporting events in the Olympics. Relevancy Throughout the Year: The relevancy of the sport declines in the offseason. However, being a major sport in the US, it is almost always relevant. In other countries, the relevancy of the sport throughout the year is not as strong as in the US. Gender Equality: Hockey is primarily a male-dominated sport. Being a tough sport, not many females prefer to compete in hockey. However, there is some level of participation from women in some countries. Access to the General Public: Hockey does not rank well in the access to the general public. Partly because of the expensive playing fields and ice hockey rinks required for the sport to be played in. The number of Amateur Players in The World: The number of amateur players of hockey is not impressive either. Because the sport requires a lot of equipment and special surface, both field hockey, and ice hockey do not have a huge number of amateur players. The prominence of the sport in sports headlines on print and electronic media: Ice hockey continues to enjoy prominence in the sports headlines in the US. Elsewhere, the sport has varying prominence in the sports headlines. In countries like Pakistan, India, Australia, Netherlands, and Germany, field hockey has a moderate level of prominence in the news. At No 5 in This List is Tennis. with around 1 billion fans in Europe, the Americas, and Asia. Tennis is a sport that people usually play individually against a single opponent (singles) or between two teams of two players each (doubles). Each player uses a racket that is strung with cord to strike a hollow rubber ball covered with felt over or around a net and into the opponent’s court. The object of the game is to play the ball in such a way that the opponent is not able to play a good return. Global Fan Base and Audience: Tennis has a pretty good fan base all over the world. Although it is more popular in developed countries than developing countries. The Tennis superstars like Roger Federer and Rafael Nadal are known widely around the world and have hundreds of millions of fans throughout the world. Viewership on TV: The major competitions of Tennis, the four grand slams, are watched by more than 400 million people around the world. TV Rights Deals: The TV rights deals for Wimbledon, Australian Open, French Open, and the US Open as well as for other major tennis events around the world can gross millions of dollars in revenue. Popularity on the Internet: Tennis enjoys huge popularity on the Internet. Perhaps it is the 3rd most popular sport on the internet after football and cricket. Presence on Social Media: Tennis players enjoy a pretty good presence on social media. The superstars like Rafael Nadal, Andy Murray, Roger Federer, Novak Djokovic, Venus Williams, Serena Williams, Maria Sharapova, etc. have millions of fans following them on social media networks. The number of Professional Leagues in the World: Tennis is an individual sport. There are national tennis federations in almost all the countries of the world. Regular tournaments are held both at the international level as well as at the national level every year. Almost all countries have their own national tournaments of Tennis. 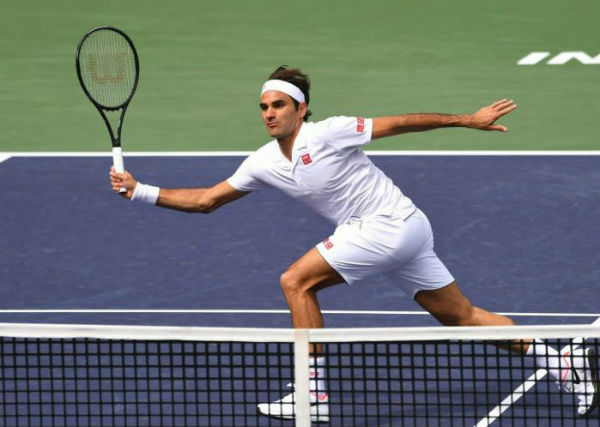 Average Salary of Athletes in the Top Leagues: Tennis superstars are some of the highest paid individuals in the world. They can gross in millions in prize money as well as in sponsorship deals. Sponsorship Deals: Brands like Rolex, Mercedes, Nike, Adidas, Puma, Toyota, and others sponsor superstars of tennis to endorse their brand. These endorsement deals are often in millions of dollars. Almost all the tennis stars that compete in grand slams and other major tennis competitions are able to get handsome sponsorship deals. Number of Countries in Which the Sport is Popular: Tennis is mostly popular in developed countries. The sport is gradually becoming more popular in the lesser developed countries as well. Biggest Competition: The four grand slams, namely, Wimbledon, the US Open, the French Open and the Australian Open are the biggest competitions of Tennis. They are watched and followed by millions of fans around the world. Relevancy Throughout the Year: The sport is more relevant during the summer season and the later summer season. However, with tournaments happening on and off throughout the year, you can pretty much say that tennis is relevant throughout the year. Gender Equality: On the gender equality scale, tennis ranks the highest among all sports. Both the men’s and women’s competitions are held side by side in all major competitions. Women tennis stars like Serena Williams and Maria Sharapova enjoy nearly the same level of fame and exposure as the men’s stars. The participation of women in tennis is also pretty high. Access to the General Public: Tennis enjoys good access to the general public in the developed countries, especially in the US, Canada, and in European countries. The access of the general public to tennis in developing countries is not that good. The number of Amateur Players in The World: Being an individual sport and requiring a proper lawn to play in, the number of amateur player of tennis is not that big as compared to soccer or other team sports. The prominence of the sport in sports headlines on print and electronic media: Tennis definitely is quite prominent in the sports headlines. This is the case in developed countries as well as in developing countries. With around 900 million fans across Asia, Europe, Americas, and Australia, Volleyball is the 6th Most Popular Sport in the World. Global Fan Base and Audience: Volleyball enjoys a reasonable number of fans in almost all the countries of the world. Viewership on TV: The viewership of the sport on TV is limited to major competitions. The Volleyball event at the Olympics is widely followed by fans around the world. TV Rights Deals: TV rights deals for Volleyball events are not huge. Popularity on the Internet: The sport has a moderate level of popularity on the internet. Presence on Social Media: The social media presence of the sport is different in different countries. The volleyball players also have varying levels of following in different countries. Compared to other sports, the social media presence of volleyball teams and volleyball players is not that high. The number of Professional Leagues in the World: This is one area where volleyball out numbers every other sport on the list. Volleyball has the highest number of national federations among all sports. Professional and semi-professional leagues are regularly organized by these federations. Average Salary of Athletes in the Top Leagues: The players in top volleyball leagues can earn up to a million dollars annually. However, only the top athletes of the sport are able to reach these numbers. Usually, the salary for a volleyball player in a top league is approximately 2 to 3 hundred thousand dollars. Sponsorship Deals: Sponsorship deals are not as lucrative for the volleyball players as for players of other sports. The major volleyball clubs are able to secure reasonable sponsorship deals with major brands. Number of Countries in Which the Sport is Popular: Volleyball is popular in almost all the countries of the world. Biggest Competition: The FVB Volleyball Championship is the biggest competition of the sport in the world. 24 countries participate in the event and it is held after every 4 years. Relevancy Throughout the Year: The sport does not enjoy relevance on the mainstream media throughout the year. However, being a sport that is widely played at the amateur and semi-professional level, it is quite relevant at the grassroots levels throughout the year. Gender Equality: When it comes to gender equality, in the majority of the countries volleyball is mostly played by men. However, in many countries like the US, Brazil, Argentina, Mexico, and European countries, it is equally popular among women and has a good level of women participation. Access to the General Public: Requiring only a ball and a net, it is widely accessible to the general public. You can see people playing volleyball in the hunger-stricken African countries as well as on the beaches of the developed countries like Australia. The number of Amateur Players in The World: Volleyball has perhaps the 2nd highest number of amateur players in the world, after soccer. There are hundreds of thousands of amateur players in the sport in almost all the countries of the world. The prominence of the sport in sports headlines on print and electronic media: Volleyball does not enjoy a lot of prominence in the sports headlines. The coverage of the sport in news is only limited to major international competitions like the Volleyball World Championship and the Olympics. Around 900 million fans from Asia, Europe, Africa, and the Americas makes Table Tennis 7th most popular sports in the world. Table tennis, also known as ping pong, is a sport in which two or four players hit a lightweight ball back and forth using table tennis rackets. The game takes place on a hard table divided by a net. Except for the initial serve, players must allow a ball played towards them only one bounce on their side of the table and must return it so that it bounces on the opposite side. Global Fan Base and Audience: The fans of table tennis are scattered around the world. With millions of hobbyists, amateur players, and professional players table tennis has a strong fan base of more than 900 million fans around the world. Viewership on TV: The viewership of table tennis on TV is limited to only Olympics and other major international events. TV Rights Deals: The TV rights deals for table tennis championships and tournaments around the world are not that impressive. However, the numbers are reasonable considering the fact that it is primarily a sport that is taken more as a hobby than a professional sport. Popularity on the Internet: The internet popularity of Table Tennis is quite mild. The searches related to the game peak up during the Olympics and other major competitions and tournaments. Presence on Social Media: The social media presence of the sport is very limited. The number of Professional Leagues in the World: When it comes to professional leagues, table tennis is quite popular in almost all the countries of the world. Almost all the countries of the world have their national table tennis federations and competitions are held regularly throughout the year. Average Salary of Athletes in the Top Leagues: The average salaries of table tennis players, even the top ones is not that high. The salary can range from a few thousand dollars to a hundred thousand dollars. This is a major reason why the sport is more popular as a hobby than a professional sport. Sponsorship Deals: The table tennis players usually get small sponsorship deals from the sponsors. The sponsorships for events are also not that large. Number of Countries in Which the Sport is Popular: Table tennis is popular in almost all the countries of the world, but only as a hobby and as an amateur sport. There are only a few countries where the sport is popular at the professional level. Biggest Competition: World Table Tennis Championship is the biggest event of Table Tennis in the world. It is held after every two years and top players of the game participate in the event. Other than that the table tennis event in the Olympics is also a major event of the sport. Relevancy Throughout the Year: Being a sport that is most popular as a hobby and among the amateur players, it is relevant almost throughout the year. However, it is only relevant in the mainstream media during the Olympics. 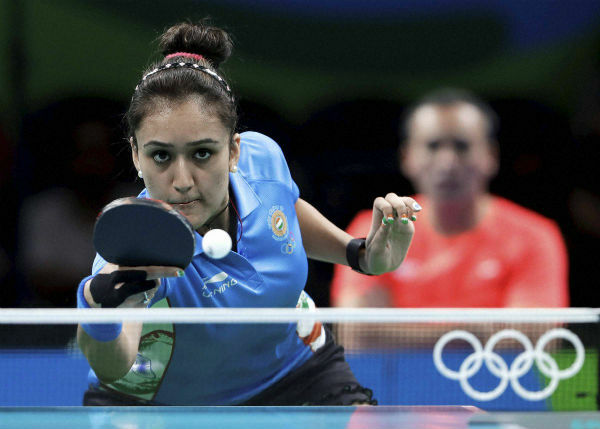 Gender Equality: Table Tennis enjoys an excellent ranking in gender equality. It is played by men as well as women around the world. And it is equally popular between the two genders. Access to the General Public: Requiring a small area, table tennis has good access for the general public. However, access to table tennis is mostly limited to urban centers all over the world. The number of Amateur Players in The World: The number of amateur table tennis players is among the highest in all sports. There are hundreds of millions of amateur table tennis players all over the world. The prominence of the sport in sports headlines on print and electronic media: The sport is not that prominent in the sports headlines around the world, except for the Olympics season. There are Around 500 million fans in the US, Japan, Cuba, and the Dominican Republic, making Baseball 8th Most Popular Sport in the World. Baseball is a bat-and-ball game played between two teams of nine players who take turns batting and fielding. The offense attempts to score more runs than its opponent by hitting a ball thrown by the pitcher with a bat and moving counter-clockwise around a series of four bases: first, second, third and home plate. A run is scored when the runner advances around the bases and returns to home plate. Global Fan Base and Audience: Baseball enjoys a huge number of fans in the US, Canada, Cuba, and the Dominican Republic. Viewership on TV: The sport is widely watched in the US, Cuba, and Japan. The viewership is not that good in other countries of the world. TV Rights Deals: The TV rights deals for MLB in the US and the Nippon League in Japan reaches hundreds of millions of dollars. Popularity on the Internet: The sport is quite popular on the Internet in the countries where it is commonly played. The searches on Google in the US related to this sport are also pretty high. Presence on Social Media: The social media presence of the sport is pretty good in the US, Cuba, Japan, and the Dominican Republic. In other countries the presence is negligible. The number of Professional Leagues in the World: There are only a handful of countries where professional leagues of baseball are in place. These include the US, Taiwan, Japan, Korea, and Australia. Some other countries do have professional leagues of Baseball but they are on a very small scale. Average Salary of Athletes in the Top Leagues: The average salary of Baseball players in the MLB is more than $4 million. This is pretty good when compared to other major sports leagues around the world. 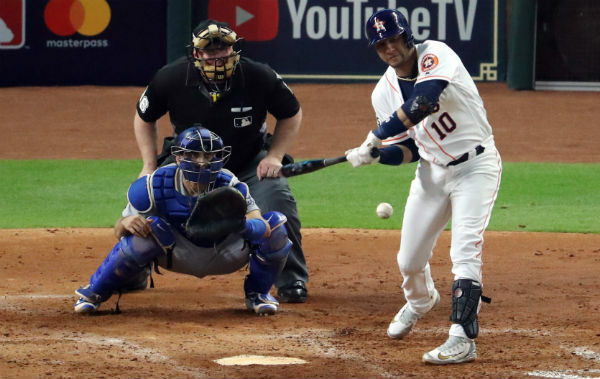 Sponsorship Deals: The Baseball teams and players in the US are able to get some excellent sponsorship deals, often reaching in millions of dollars. Number of Countries in Which the Sport is Popular: The number of countries where Baseball is played is very limited. There are only a handful of countries where Baseball is played as a professional or even as an amateur sport. Biggest Competition: Baseball World Cup and World Baseball Classic are the biggest tournaments of Baseball. All the major countries that play baseball participate in these international competitions. Relevancy Throughout the Year: The sport is more relevant during the MLB season in the US. It is not that much relevant during the rest of the year. Gender Equality: Baseball is one of the most male-dominated sports out there. Access to the General Public: The sport has good access for the general public in the US. In other countries, access to the general public is not that good. The number of Amateur Players in The World: The number of amateur players of Baseball in the world is limited to the US, Japan, the Dominican Republic, and Cuba. These countries have a fairly good number of amateur players in the sport. The prominence of the sport in sports headlines on print and electronic media: The sport enjoys reasonably good prominence in the sports headlines on the print as well as the electronic media in the US and in Japan. Global Fan Base and Audience: Rugby has a strong fan base in Australia, England, France, and New Zealand. There are more than 390 million fans of the sport in these countries. Other countries also have a limited number of fans of Rugby. Viewership on TV: The TV viewership of Rugby is pretty good in the Rugby playing nations. In other countries it is negligible. TV Rights Deals: The TV rights deals for Rugby tournaments are not as big as Football, Cricket or Tennis, but they are still quite costly. Popularity on the Internet: The sport is moderately popular on the Internet and enjoys a high level of searches during the rugby world cup, especially in the participating nations. Presence on Social Media: Rugby enjoys a limited presence on social media. Major Rugby clubs and Rugby stars are moderately popular on different social media networks. The number of Professional Leagues in the World: Most of the developed countries have professional Rugby Leagues. The popularity of these leagues is quite varying. Average Salary of Athletes in the Top Leagues: The average salary of a rugby player is around $60,000 per annum. Sponsorship Deals: Rugby players are able to get some good sponsorship deals from major sports brands around the world. Number of Countries in Which the Sport is Popular: The sport is popular in only a handful of countries. In other countries, the sport only enjoys limited popularity. Biggest Competition: The biggest competition of Rugby is the Rugby World Cup that is held after every four years. 20 countries participate in the event. Relevancy Throughout the Year: Rugby is mostly only relevant during the major tournaments or during the bilateral series among different rugby playing nations. Gender Equality: Rugby is a male-dominated sport both at the professional as well as at the amateur level. Access to the General Public: Rugby does not enjoy good access to the general public as compared to other sports, primarily because of its nature and the large area required. The number of Amateur Players in The World: The number of amateur player of rugby is not that big. The sport is moderately popular at the amateur level in the UK, Australia, New Zealand, and France. 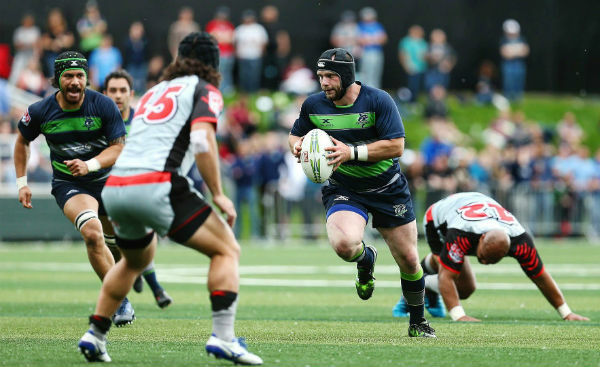 The prominence of the sport in sports headlines on print and electronic media: Rugby is quite prominent in the sports news in the Rugby playing countries. American football (known as football in the United States and gridiron in some other countries) is a sport played by two teams of eleven players on a rectangular field 120 yards long and 53.3 yards wide with goalposts at each end. The offense attempts to advance an oval ball (the football) down the field by running with it or passing it. They must advance it at least ten yards in four downs to receive a new set of four downs and continue the drive; if not, they turn over the ball to the opposing team. Global Fan Base and Audience: Being a sport that is mostly played in the US, the fan base of American Football is concentrated in the US. It is highly popular in the United States. Viewership on TV: American Football is one of the most watched sports in the US. Elsewhere it does not enjoy good levels of viewership. TV Rights Deals: NFL, National Football League in the US is the most popular sports league in the world. NFL TV rights are sold in billions of dollars per year. Popularity on the Internet: NFL is quite popular on the Internet in the US. Google records a very high level of American Football related searches in the US. Elsewhere, the popularity of the sport is negligible. Presence on Social Media: The sport enjoys an impressive presence on the social media thanks to its US fan base. The teams and athletes of American Football are often among the top trends in social media. The number of Professional Leagues in the World: American Football does not have professional leagues in the majority of the countries. The only renowned league of the sport is in the US. It is known as the NFL. Average Salary of Athletes in the Top Leagues: The professionals in the largest league of the game, i.e. NFL, enjoy an average salary of $1.9 million dollars. This is very impressive as compared to other sports. Sponsorship Deals: The teams of NFL and the professionals of American Football are able to land pretty handsome sponsorship deals from the major brands in the US. The numbers are often in tens of millions of dollars. Number of Countries in Which the Sport is Popular: This is one area where American Football does not do well. Although it is the most popular sport in the US, it has negligible popularity in other countries of the world. Biggest Competition: The biggest event of American Football is the Super Bowl. It is the National Football League Championship Game that is played annually between the champions of the National and the American Football Conferences. It is the most watched sporting event in the US. Relevancy Throughout the Year: The sport is relevant almost throughout the year in the US. Its relevancy peaks up during the NFL season. Gender Equality: American Football is one of the most male-dominated sports out there. Access to the General Public: The sport enjoys pretty good access to the general public in the US. Elsewhere, as the sport is not that popular, it is not accessible to the general public. The number of Amateur Players in The World: American Football has a handsome number of amateur players in the US. 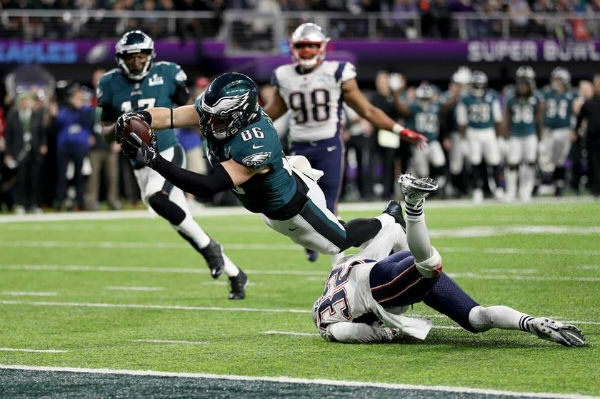 The prominence of the sport in sports headlines on print and electronic media: American Football is prominent in the sports headlines on the print as well as the electronic media in the US, almost throughout the year. It is the most popular sport in the country and it is reflected in the sports bulletins. In other countries, the sport rarely makes it to the news. Global Fan Base and Audience: Golf is one sport that is more popular in the elderly as compared to young people. The sport has more than 390 million fans around the world. Most of these fans are concentrated in the US, Canada, and Europe. Viewership on TV: Golf enjoys high levels of viewership among male adults belonging to the upper class. The TV viewership of the sport is pretty low among females and among younger males. TV Rights Deals: Being a sport of rich upper class, golf gets pretty good TV rights deals for the major tournaments in the US and Europe. Popularity on the Internet: The popularity of the sport is limited on the internet. There are a limited number of searches related to golf on the internet. 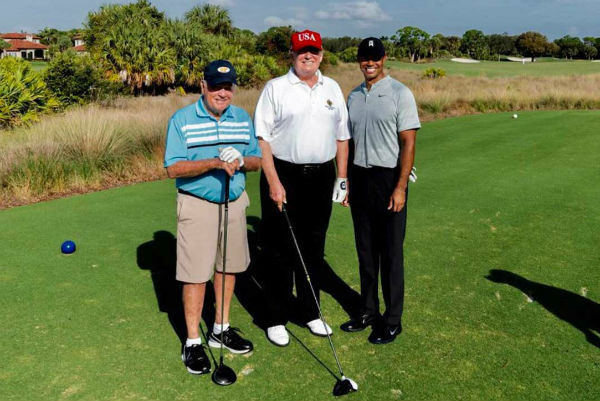 Presence on Social Media: As social media is mostly dominated by the younger generation, and golf is a sport mostly played and followed by people older than 35, the sport has a very limited presence on social media. The number of Professional Leagues in the World: Different individual tournaments of golf are connected into a series of tournaments via professional golf tours. The major tours include PGA Tour, European Tour, LPGA Tour, and PGA Tour Champions. Average Salary of Athletes in the Top Leagues: Golf professionals enjoy a handsome amount of salaries in the form of prize money and endorsement deals. Tiger Woods the most famous golf player of all time was the highest paid athlete among all sports for a number of years. Sponsorship Deals: The golf tournaments are sponsored by major brands around the world. Golf athletes are also able to get pretty handsome endorsement deals from large companies. These sponsorship deals are often in millions of dollars. Number of Countries in Which the Sport is Popular: There are 118 countries in the International Golf Federation. The sport has seen a lot of growth in countries like China, Turkey, Malaysia, and Indonesia in recent years. Biggest Competition: The Masters Tournament, The US Open, The Open Championship, and the PGA Championship are the biggest golf competitions. Relevancy Throughout the Year: The sport is relevant on the news and in general discussions only during the major championships. Gender Equality: Although golf is more popular among men, the sport is followed and played by women as well. In recent years the popularity of golf has increased in women especially in the developed countries. Access to the General Public: When it comes to access to the general public, golf does not score well. It is mostly known as a sport for the rich. The sport has better access for the general public in the US, Japan and in some countries of Europe. But overall it is considered a sport for the rich. The middle class and lower-middle-class people around the world don’t have access to golf facilities. The number of Amateur Players in The World: The number of amateur player of golf is not that big all over the world. The US, Japan, Australia and some countries in Europe have more amateur players than other parts of the world. The prominence of the sport in sports headlines on print and electronic media: During the major tournaments golf gets high levels of prominence in the sports bulletins especially in the US and Japan. In case you are wondering what are some other popular sports in the world. Here they are from 11 to 25 in ranking. 11. Formula 1: Formula 1 racing is one of the most exciting sports involving high-speed cars racing it out in beautifully created circuits. The formula one drivers enjoy excellent earnings and are widely followed by the fans. The sport is very popular among the TV audiences around the world, but because of the limited number of races and no access of the general public to the sport, it is the 11th most popular sport in the world. 12. Boxing: Boxing was once among the top 5 most popular sports in the world, but its popularity has decreased over the years. Still, it is widely followed by the boxing enthusiasts around the world and major competitions are regularly held in the US and European countries. 13. MMA: At number 13 we have mixed martial arts. In this gruesome sport, the fighters take on one another with nothing holding back and try to outfight each other. With the emergence of UFC, the sport has seen a massive rise in popularity. It is already one of the most popular sports in the US and Brazil. The popularity of MMA is gradually increasing in Europe and Asia. 14. Moto GP: Moto GP is one of the most popular motorcycle racing series in the world. It has a huge TV following and is quite popular in the US, Europe and in some countries of the Middle East. 15. Athletics: Athletics is one sport that enjoys very high levels of viewership during the Olympics. However, its viewership is only restricted to Olympics and other major events. It is equally popular among men and women. Usain Bolt is currently the undisputed champion of Athletics and has won 9 gold medals in three different Olympics. He is also one of the most renowned sports personality on the planet. 16. Badminton: Badminton is very popular in China, Malaysia, India, Indonesia, and Korea. It is also very popular amongst amateur players all over the world. In Europe and the USA, it is generally taken as a hobby sport. 17. Cycling: Cycling is popular as a hobby sports all over the world. Professionally it is very popular in Europe. Tour De France, is the biggest cycle race in the world that takes place in France every year. 18. Swimming: Who has not heard of the legendary swimmer Michael Phelps, the greatest Olympian of all time. Swimming is quite popular as a hobby sports in most countries of the world. Professionally, it is more popular in developed countries. 19. Snooker: Though snooker is very popular at the amateur level in many countries of the world, there are only a few countries where snooker is played at the professional level. These include the UK, China, Pakistan, and Australia. 20. Shooting: Shooting is a popular event in the Olympics. It has limited interest as a spectator sport. However, there are a good number of professional and amateur players of the sport all over the world, especially in China, Russia, Korea, India, the US, and some European countries. 21. Gymnastics: Gymnastics is mostly moderately popular in developed countries like the US, Germany, the UK, Australia, Japan, China, and Korea. The sport has a limited viewership on TV and it only gets world attention on the occasion of the Olympics. 22. Handball: Handball enjoys a varying level of fame in different parts of the world. It is popular in France, Hungary, Germany, Poland, Russia, and Romania. There are semiprofessional leagues of Handball in some countries. The TV coverage of the sport is only limited to World Championships and other international competitions. 23. Wrestling: It is one of the oldest sports out there. Today different variations of wrestling are played in different regions of the world. Japan, India, Pakistan, Turkey, and Russia are some of the countries where wrestling is played and spectated on a large scale. Here it is worth mentioning that we are not talking about WWE or other scripted wrestling competitions. 24. Skiing: Skiing being a sport dependent on snow is confined to the colder regions of the world. Downhill skiing enjoys handsome popularity among the professional as well as the amateur players in Europe, America, and in some parts of Asia. 25. Horse Racing: One of the most ancient sports out there, horse racing enjoys a rich history. Being very expensive and historic in nature, this sport is not quite popular among the general public. Nevertheless, it does have its share of fans out there. It is mainly followed as a gambling sport in countries like the UK, the US, Australia, and the UAE. Hopefully, this article has provided you great insights into the popularity of different sports. Don’t Forget to Join Us On Social Media to get more interesting posts related to your favorite sports. Share Your Thoughts About Popular Sports in Comment Box Below.